Play where the Tigers play. 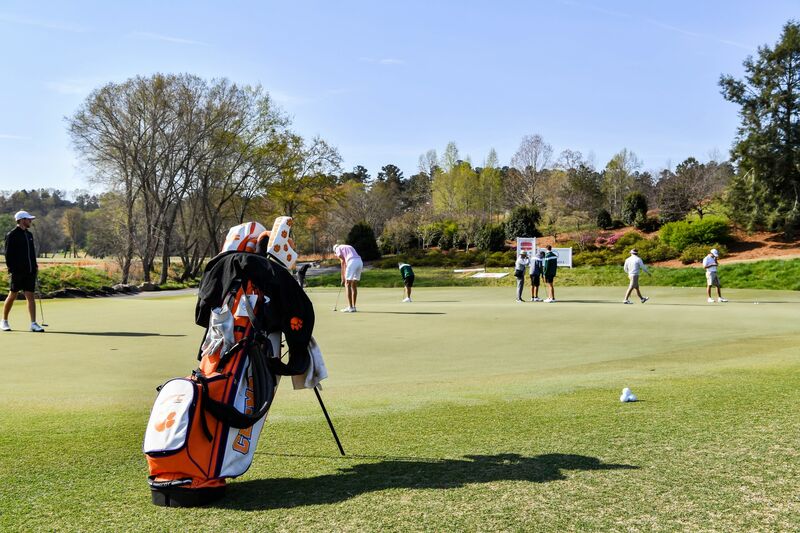 Practice your swing and experience Clemson golf on the 18-hole championship John E. Walker Sr. Golf Course, one of most prominent golf courses in South Carolina. Designed by DJ DeVictor, the Walker Course serves as home for the Clemson University 2003 NCAA national champion golf team. Whether it’s for a golf outing or just a day out of the office, everyone can enjoy Clemson golf year-round at the Walker Course! Group and individual rates as well as family and corporate memberships are also available. The last five holes, including the signature Tiger Paw 17th hole, run along the shores of Hartwell Lake and offer the most spectacular collection of finishing holes among all golf courses in South Carolina. To get a feel for what our course looks like, watch a slideshow of our beautiful Walker Golf Course! Right outside the James F. Martin Inn guest rooms are the gorgeous Walker Course greens and Bermuda fairways where you can sharpen your skills on the practice green and driving range. Learn more about the Walker Course at GolfMania and Golf Caddy Online. For questions, or to reserve a tee time, call us at 864-656-0236.